Catholic Church guidelines on how its schools should include children of other faiths and none have been described as "disappointing" by a leading academic on the subject. Professor John Coolahan, who chaired a Government forum on religious diversity and inclusion in schools, said while he welcomed the report he was also disappointed by its lack of detail and focus. Mr Coolahan told RTÉ News it was disappointing that concrete examples of good practice in action were not included. He said there was an element of complacency that Catholic Primary schools were already inclusive, but he said sections of the public did not share that view. The church earlier published guidelines aimed at governing the inclusion of non-Catholic children in schools. The document suggests four options schools may pursue for children whose parents do not want them to participate in religious instruction. They include providing other activities for children to do in the classroom during religious instruction time and supervised project work elsewhere. The document says parents may absent children during religious instruction, or schools may reorganise religious education timetables to facilitate such children. The document has been drawn up in response to the report of the Forum on Patronage and Pluralism published three years ago. The forum was established to address the lack of diversity of provision in the Irish primary school system. An organisation representing atheists has said the guidelines do not respect the human rights of atheist or secular families. Atheist Ireland says the document shows no understanding or appreciation of the human rights issues that it and others, including the UN and the Council of Europe, have been raising for years. 89% of primary schools in Ireland are run by the Catholic Church. This paper - 'Catholic Primary Schools in a Changing Ireland' - acknowledges some parents have little or no choice but to send their child to a Catholic school. It says while the church recognises the right of parents to opt out of religious instruction for their children, the manner in which schools do this is subject to available resources. 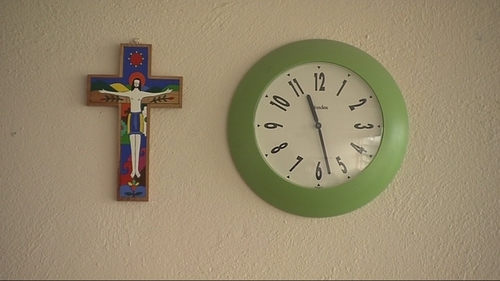 The document says schools should not exceed the 2.5 hours allowed weekly for religious education. It says schools should make clear to parents upon enrolment what being a Catholic school means. This should include information on the school's religious education programme as well as procedures in dealing with parents who do not want their children to participate in religious education. However, the document does not advise schools as to what procedures should be put in place, apart from outlining options they "may" wish to implement. The Forum on Patronage and Pluralism made a number of recommendations when it reported three years ago. It said school enrolment policies should not discriminate against children based on their religion or lack of religion. Currently many Catholic schools give priority to children who are baptised Catholics. The forum report also called for a protocol to be drawn up by the Department of Education outlining the responsibility of schools to protect the constitutional right of parents and children not to participate in religious education. It said school boards of management should develop policies for the practical application of the protocol.